Call us for your custom rates. These are the base rates for dog waste removal service and may be adjusted according to size of property, access, terrain and other factors. Below the table of our base rates are rates for other pet waste services we provide in addition to your basic service. If you need more days or have more dogs, call us for custom rates. Dallas/Fort Worth Office: 800 787-7667 Extension 2 . *Offer ends April 30, 2019 Call for more details and start earning your free visits today! Applicable Texas state sales tax not include. For temporary vacation cleaning, 5 or more dogs, call for details. FREE ESTIMATES: For Homeowners Associations, apartments, condos. At Scoop Masters, we're more than just a pooper scooper company. We provide a wide variety of pet related services to help keep your dog poop problem in check. Click on the images below to get more details about the variety of services we offer. Keep your pet waste stations clean, stocked and functional. See our base rates for pooper scooper service in Dallas, Colin and Denton Counties. It's really quite simple, we come to your home on a regular basis and pick up what your dog leaves behind - dog poop. We can provide dog waste removal service 1 to 5 days a week or we can do a one time cleaning for that special occasion. Going on vacation? We can service your property while you're gone. We clean up the dog waste and hose off dog runs, hillsides, patios, roof tops, (yeah, we've done roof tops) bike paths, parks, homeowners associations and more. We even take the pet waste away from your property. We haul the waste away. We offer odor treatments for your yard. We can rinse off and disinfect patios and decks. We come on the same day every week. No more guessing what day your yard will be cleaned. We offer service Monday through Friday and as frequently as every other week up to 5 times a week. We are uniformed and no service is contracted out. We can send text message updates telling you when we are on our way and when we have finished. Check out our Dallas/Fort Worth pooper scooper rates below, or call us and we'll quote your rate over the phone. National toll free number: 800 787-7667 Extension 2 for Dallas/Fort Worth. Want to cut through the chase? Click the button below to use our online sign up form. Keeping your common areas dog poop free can be a challenge. We can help! Wether you need pet waste stations, actual grounds cleaning or both, we can doo it. We'll walk your grounds and remove the dog waste and light trash from all common areas along with emptying the community trash cans if you desire. If you want pet waste stations, we sell several different brands to fit your needs. Want to go High Tech and set up DNA testing? We can help you with that too. Free estimates, free proposals. On a tight budget? Let us know and we'll come up with an affordable solution that may not have any up front costs. Contact us today! Our pet waste station maintenance includes visiting the stations on a regular basis and replenishing the waste bags, emptying the trash cans, cleaning off the bird poop and minor repairs. Whether you have 2 or 200, we can help you maintain the appearance and functionality of your dog poop bag dispensers in the Dallas/Fort Worth area, including parts of Denton & Collin Counties. What's the point on having your pet waste removed if it smells like it's still there? That's why we provide an additional service using OdorMute to control pet odors organically. It's safe for your pets and with enzyme technology, removes the odor on a molecular level. To use our new Client Portal to securely view and pay your invoice, Click Here. Pooper Scooper service provided in Addison, Allen, Argyle, Aubrey, Bartonville, Carrollton, Castle Hills, Celina, Colleyville, Coppell, Copper Canyon, Corinth, Cross Roads, Dallas, Denton, Double Oak, Fairview, Farmers Branch, Flower Mound, Frisco, Garland, Grapevine, Hackberry, Hebron. 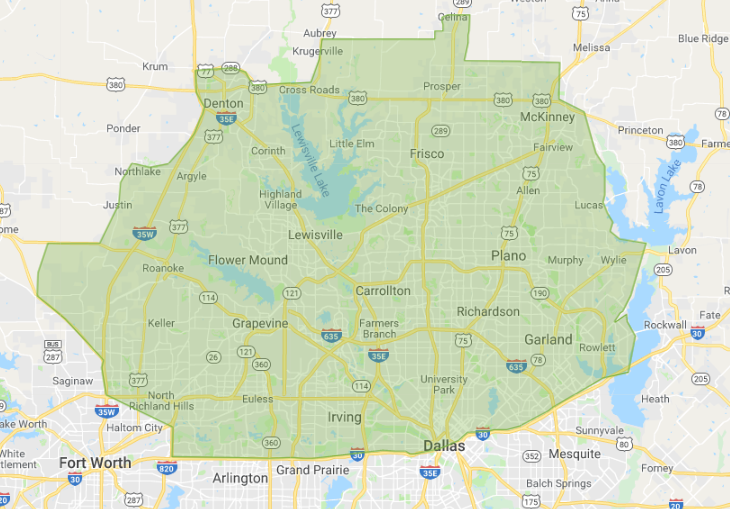 Hickory Creek, Highland Park, Highland Village, Irving, Keller, Lake Dallas, Lake Highlands, Lakewood Village, Lewisville, Little Elm, Los Colinas, Lucas, McKinney. Murphy, Oak Point, Park Cities, Parker, Plano, Prosper, Richardson, Rowlett, Sachse, Shady Shores, Southlake, The Colony, Trophy Club, University Park, Uptown Dallas. Valley Ranch, Westlake, Wylie. Serving these zip codes: 75001, 75002, 75006, 75007, 75010, 75013, 75019, 75022, 75023, 75024, 75025, 75028, 75033, 75034, 75035, 75038, 75039, 75040, 75041, 75042, 75043, 75044, 75048, 75056, 75057, 75062, 75063, 75065, 75067, 75068, 75069, 75070 75071, 75074, 75075, 75077, 75078, 75080, 75081, 75082, 75088, 75089, 75093, 75094, 75098, 75150, 75204, 75205, 75206, 75209, 75214, 75218, 75219, 75220, 75225, 75228, 75229, 75230, 75231, 75234, 75235, 75238, 75240, 75243, 75244, 75248, 75252, 75254, 75261, 75287, 76034, 76051, 76092, 76205, 76208, 76209, 76210, 76226, 76227, 76248, 76262. Maybe Now You're Ready to Get Started with our world class pooper scooper service! Call us locally in our Dallas/Fort Worth office at 800 787-7667 Ex. 2. Want to sign up now? Click the button below. Or use this form to email the Dallas/Fort Worth office directly. If you do not get a response within 20 Minutes, during normal business hours, please check your spam folder.